Designed to express the athletic appeal of the M240i, this Special 2019 BMW M240i M Performance Edition features several M Performance component upgrades that enhance the appearance and dynamic of an already powerful sports coupe even further. 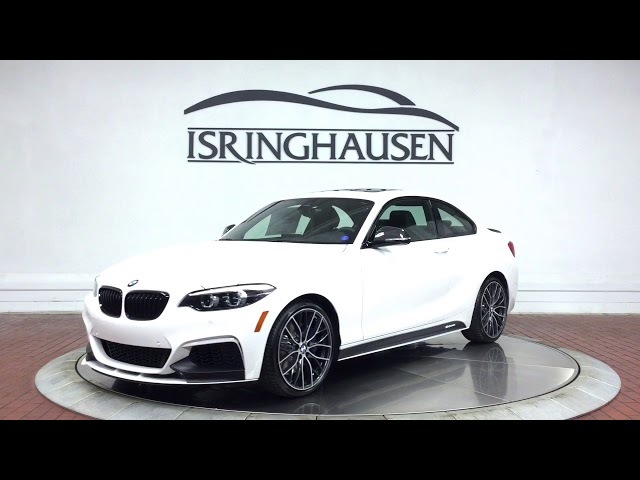 With 340 horsepower and exciting driving dynamics, this special M Performance Edition 2019 BMW M240i xDrive is the one to have. Contact a BMW sales specialist today to take advantage of this special vehicle by calling 877-362-9715. Isringhausen Imports is Central Illinois' premier new car, used car and certified pre-owned (CPO) dealership for quality BMW, Porsche, Volvo and Mercedes-Benz vehicles. At Isringhausen Imports, we have become a leader in the industry by working each day towards the greater good of our customers, our fellow employees, and our community.